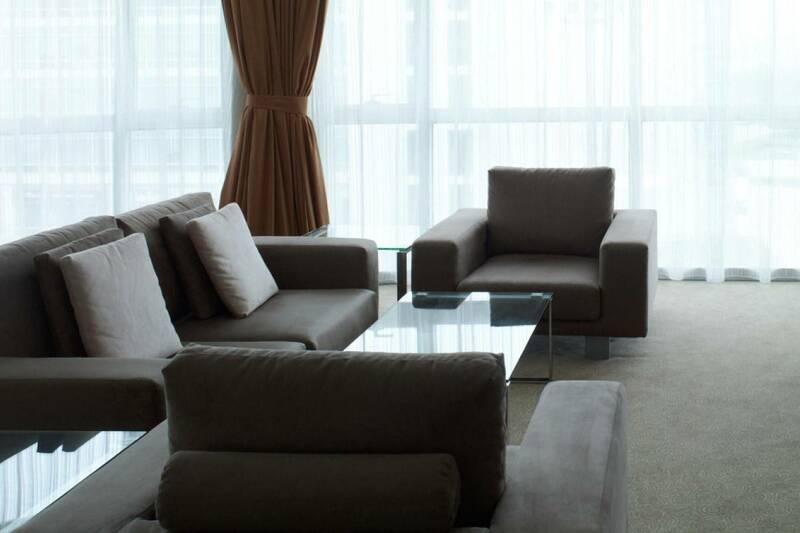 The demand for serviced apartments in Shanghai is large. In the apartment building of the German Centre Shanghai, you can lease 60 well-appointed apartments at attractive terms for tenants, their employees, and their visitors. 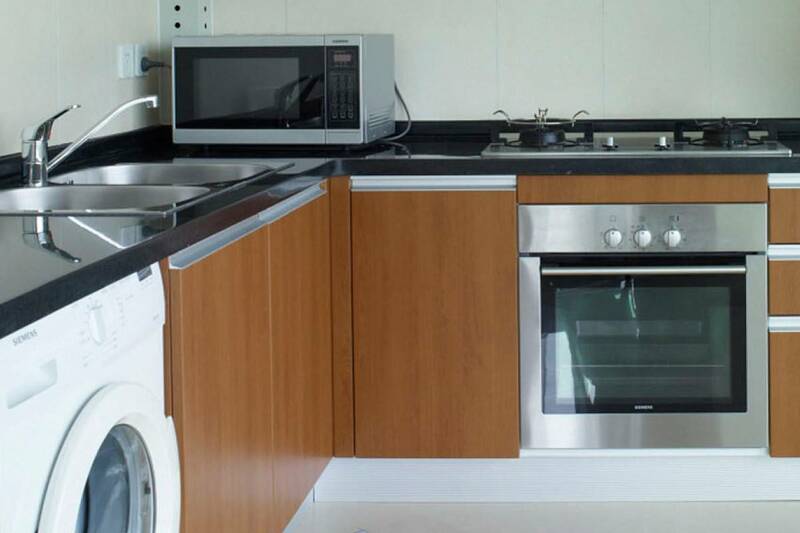 The term of the lease for our serviced apartments in Shanghai is flexible: Whatever is most favourable for you. You have a choice among cosy studios of about 40 square metres in size through to a duplex apartment with 210 square metres of living space. All apartments are fully furnished with high-quality, stylish furniture and flat-screen televisions with more than 20 stations from around the world. 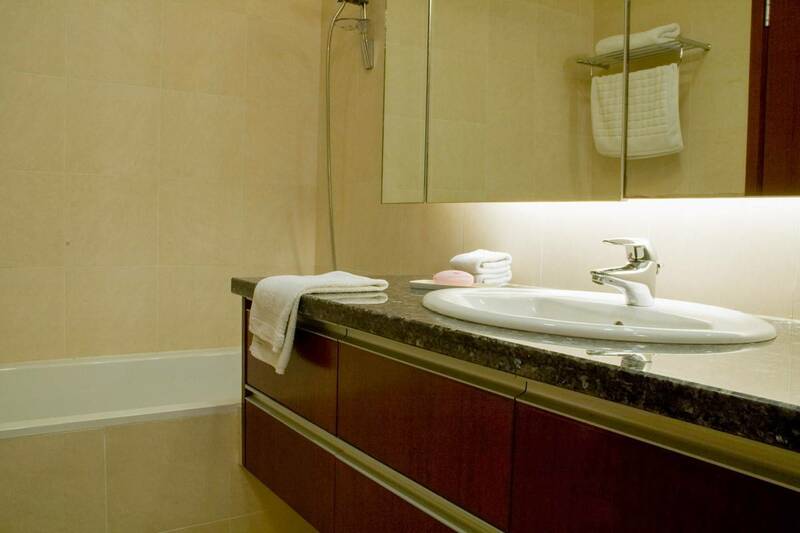 The rental term of our serviced apartments at the German Centre Shanghai is tailored very flexibly to your needs and wishes. Various possibilities for sports and shopping, a German bakery with café, international restaurants, numerous cultural events, and social life in the immediate vicinity provide a high quality of life. In the lower level of the apartment building, there is a modern fitness studio with swimming pool. Behind the building, you will find tennis courts; only a few hundred metres away is the famous Shanghai Tomson Golf Course of Pudong. We would be delighted to inform you personally in detail. Please just phone us or send us an inquiry using our contact form.